7275 Lockwood Ridge Road, Bradenton, Fl. 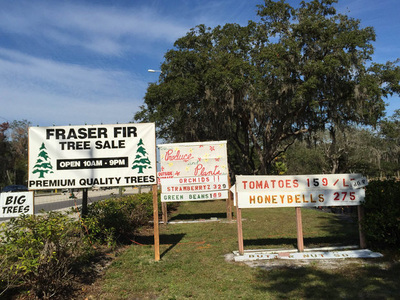 MANATEE -- For Sandy Pinto, a seasonal resident from North Carolina, the Fraser fir trees sold at Claire's Produce and Plants remind her of home. "I especially love it this time of year," said Pinto, who has been supporting the local business for the last six winters. "It is sort of like coming home." But as Pinto was paying for her celery and green beans last week, she was sad to see the stand already sold out of the North Carolina-grown Christmas trees. 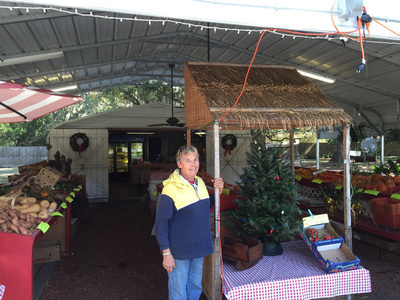 In 2006, stand owner Claire Brown began selling Christmas trees, poinsettias, wreaths and holly during Christmas time. This year, like most, the trees sold out within a couple weeks and only a few pieces of holly remain a few days before Christmas. 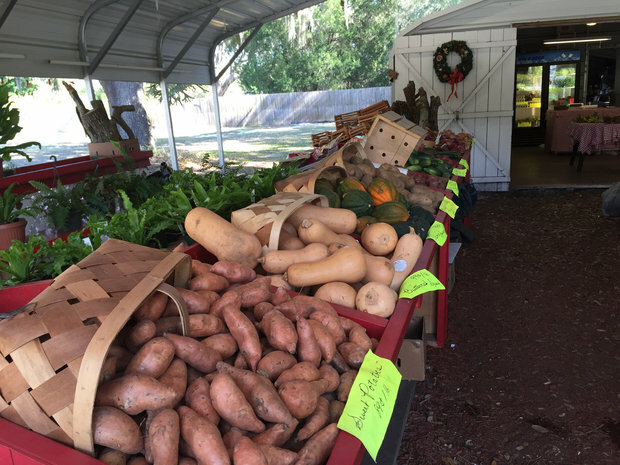 Winter is the busiest season for Brown because of the weather, what is grown in Florida this time of year and the tourists. But the stand still gets its fair share of regular customers, Brown said. "I enjoy putting out a good product," Brown said, adding that her prices are competitive with other stores since she owns the place. When Brown purchased the land on the east side of Lockwood Ridge Road, the road didn't exist. This March will mark 43 years owning the property, which is now home to Claire's Produce and Plants and is also where Brown lives. Much like how the area has developed over the years, the business has followed suit. 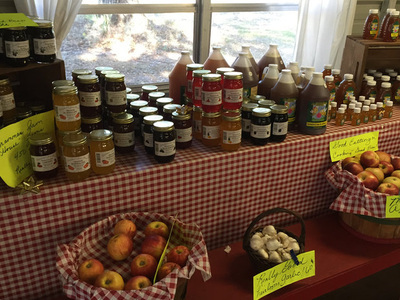 Started in 2000 as a roundtable with an umbrella, the stand at 7275 Lockwood Ridge Road has grown to much more than that as Brown now sells honey, plants and rows of vegetables and fruits. 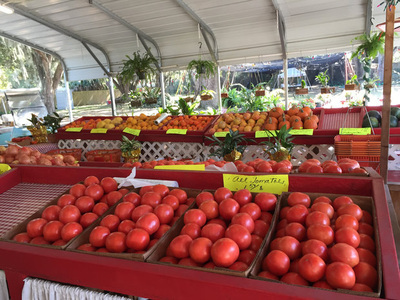 If Brown doesn't have a particular fruit or vegetable that a customer is looking for, Brown takes the specific order and gets the product for the customer when she goes to the market. 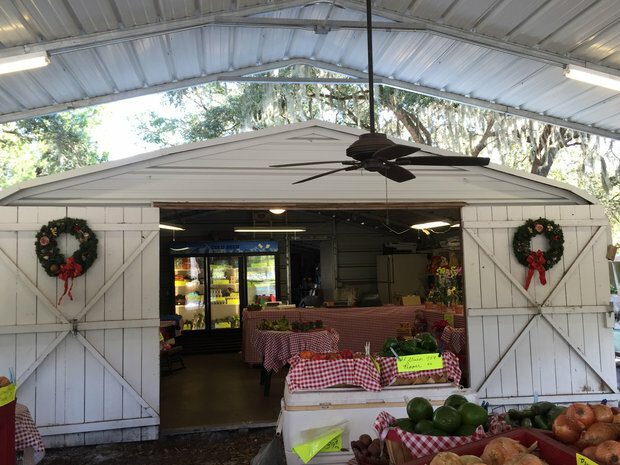 Tomatoes, Plant City strawberries and Florida blueberries are among some of Brown's staples. "It is very rewarding and I like to have a place that is appealing," she said. Pinto, who lives minutes from the stand, prefers to buy her produce from Brown. 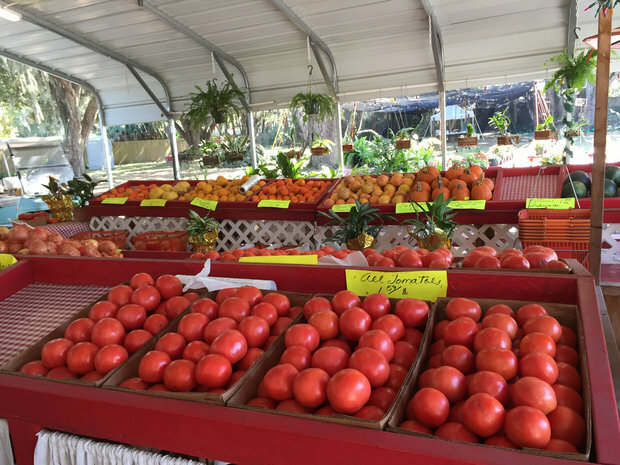 "Everything is fresh and you can see what you are buying -- and Claire is always so cheerful," Pinto said. The stand is open from noon to 6 p.m. Wednesday, Thursday and Friday; 10 a.m. to 6 p.m. Saturday; and noon to 4 p.m. Sunday. Claire Aronson, University Parkway/Sarasota reporter, can be reached at 941-745-7024 or at caronson@bradenton.com. Follow her on Twitter @Claire_Aronson.